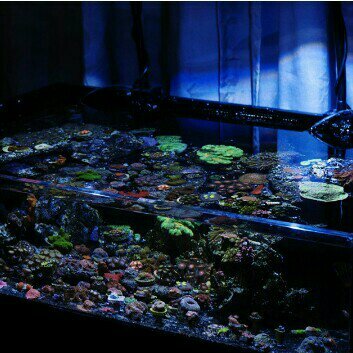 I have a 36x24x8 acrylic frag tank with a nice sump I would like 300 for a trade of some nice sps frags. No stand just the tank and sump. That's a nice setup Jared! What kind of SPS are you looking for? Thanks George. Pretty much anything from rocky Mountain frags. I might have it sold though. That's good that you might of sold it. It's still for sale. I think I'm going to get some buffing compound and clean the acrylic up. Their are scratches on the front panel.